Make your travel meaningful, and enjoy the Jewish Heritage! It´s important for you to know, that this is the official visit run by YOUNG members of the community. * The small Holocaust square. * The Patronato (Jewish Center), and learn about the "Community School" where children learn Hebrew and study Jewish culture every Sunday. Only from Monday to Friday. ** No Jewish Tour on SATURDAYS because of Shabbat. * Bilingual guide (Spanish / English) - A member of the local Jewish community. *** A % of the tour price is a collaboration to the local Jewish community. * Extra donation to Jewish places visited. The tour starts in a Jewish institution, that will be notifed when booking. ** If you choose to be pick up at the cruise dock, it has an extra charge. * Visit the Jewish Cementery in Guanabacoa. ** We collaborate in the reservation for a Shabbat dinner in the community. *** We also offer other Local Tours with private guide, to know the most traditional attractions of the city of Havana. Some Jews arrived with Christopher Columbus in 1492, they were called conversos, Marranos or Criptojudíos that were expelled from Spain by the decree of Kings Católicos. The most famous of all was Luis de Torres. The year 1906 is taken as the date of founding of the Hebrew Community of Cuba, because the first synagogue was founded in Cuba, was called "United Hebrew Congregation" and was reformist. Also in that year is founded the first Jewish cemetery in the east of Havana, Guanabacoa. The Sephardim arrived in the country in the period 1908-1924, and in 1914 they founded the "Shevet Ahim" synagogue in Old Havana. The Ashkenazi population came mainly from Poland, in addition to Russia, Lithuania, Ukraine and Germany among other Eastern European countries. At the triumph of the revolution, the Jewish population in Cuba was estimated at more than 15,000 people, most of them left the country because of the economic laws taken by the new government that affected their businesses and goods. Starting in 1990 there is a resurgence of Jewish life in Cuba and many people take the path of Aliyah to Israel. 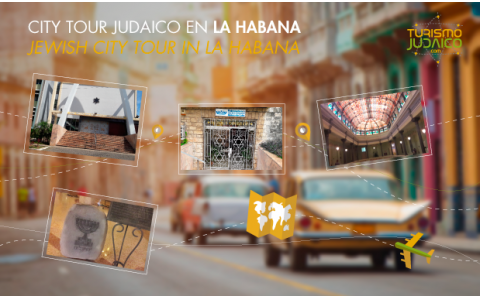 Today, around 1.200 Jews live in Cuba along almost all of the island and attend five synagogues, three of them in Havana, being the Patronato of the Hebrew Community of Cuba with its temple "Beth Shalom " the main seat. The Republic of Cuba is a country in an archipelago of the Caribbean Sea. Its main island, known as "Island of Cuba" is the largest of the Greater Antilles. It has an area of ​​110,860 square kilometers and according to the 2002 census, 11,177,743 inhabitants. Cuba political system has been a popular democracy that is a typical socialist state. The country is divided into 15 provinces and one special municipality, counting thereafter with 168 municipalities. The subtropical climate is moderate, usually with high temperatures. There are about 300 natural beaches of fine white sand and clear waters. The currency is the Cuban Peso.